Localisation is a standard feature in many mobile applications today, and there are numerous techniques for determining a user’s location both indoors and outdoors. The provided location information is often organised in a format tailored to a particular localisation system’s needs and restrictions, making the use of several systems in one application cumbersome. The presented approach models the details of localisation systems and uses this model to create a unified view on localisation in which special attention is paid to uncertainty coming from different localisation conditions and to its presentation to the user. 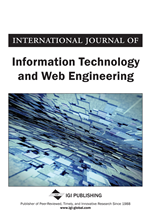 The work discusses technical considerations, challenges and issues of the approach, and reports on a user study on the acceptance of a mobile application’s behaviour reflecting the approach. The results of the study show the suitability of the approach and reveal users’ preference toward automatic and informed changes they experienced while using the application. Location is considered to be among the most important types of context (Varshavsky & Patel, 2009). The success of location-aware applications and location-based services still keeps location being the topic of a good deal of research efforts today (Dey, Hightower, de Lara, & Davies, 2010). Recent advances in technology and research help to refine the existing and develop new approaches to location determination, achieving yet better accuracy and making location sensing available in a greater number of places and situations users are in throughout the day. However, the resultant ubiquitous availability of the knowledge about location in diverse environments indoors and outdoors brings in its own issues and challenges. As stated by Banerjee, Agarwal, Bahl, Chandra, Wolman, and Corner (2010), there are two major types of location determination techniquesinfrastructure-based, such as Ubisense (http://www.ubisense.net) or PlaceLab (LaMarca et al., 2005), and peer-based, such as Virtual Compass (Banerjee et al., 2010) or RELATE (Gellersen, Lukowicz, Beigl, & Riedel, 2010). Each of them initially provides data in its own format (see Figure 1), often different in the level of granularity, frequency of updates, reliability, coverage, means of delivery, etc. This diversity can significantly affect applications that want to make use of different tracking technologies. For example, an existing framework might have little or no support of certain subtle but yet meaningful differences in location data provided by different localisation systems, or it may just not recognise an available system at all (e.g., due to the incompatibility of the communication channel used to receive the data). Besides, technical limitations and constraints inevitably present in location determination result in uncertainty about location, thus raising further discrepancies in an application’s functionality (Girardin, 2007). But from the user viewpoint, changes, which are in our case initiated by run-time localisation, should be handled in a way that would preserve the continuity of this user’s interaction with the application (Massink & Faconti, 2002). And in order to integrate the above limitations and changes of location into the application’s behaviour, we need a unified view on the data different localisation techniques provide, as well as on the metadata describing the techniques themselves. This work presents a strategy for handling the diversity of localisation systems and the representation of location data they provide. In particular, we present an approach that models the properties of localisation systems and uses this model to build a unified view on localisation throughout a large-scale pervasive environment. Our approach takes into account any localisation system in the environment and only requires that a semantic description of this system’s infrastructure and its location data in a specified format has been created at design-time and made available at the moment the system is employed. We explicitly consider uncertain and incomplete information about location in our model and establish its further use in pervasive location-aware applications. We discuss technical considerations, issues and challenges of our approach and also report about a user study conducted on a prototype location-aware application we developed for evaluating the proposed approach. In particular, we investigated users’ reaction to knowing about the changes in their localisation at run-time under different conditions of uncertainty about their location. The results of the study showed users’ acceptance of automatic changes and revealed their preference for the awareness of the cause of those changes. This finding supports our assumption that users prefer to stay aware of the nature of the uncertainty coming from localisation.